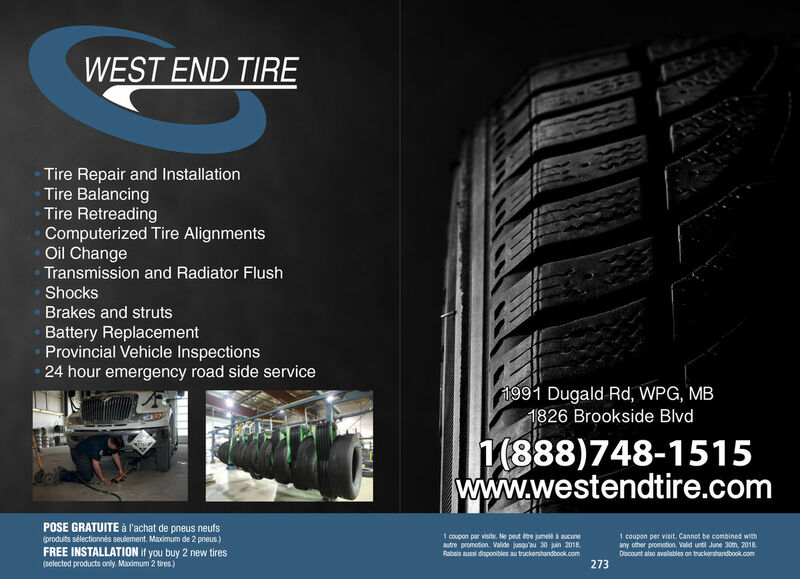 West End Tire opened its first location in 1956 in Winnipeg, moving to Dugald Road in 1988. West End Tire proudly provides customers with high quality tires for nearly any vehicle at an affordable cost. West End Tire also provides a retreading service, giving new life to a used or worn out tire. Call us for more information, or drop by one of our shops.